Since VIA Rail still has not released detailed routes of their proposed high frequency rail route, yet want billions of taxpayer dollars to build it, we will continue to offer comments on their idea to use the old Ontario/Quebec Railway (CPR) line. 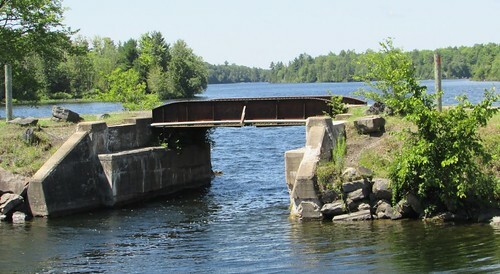 Sharbot Lake was on the old railway line. It is now part of the Trans Canada trail. 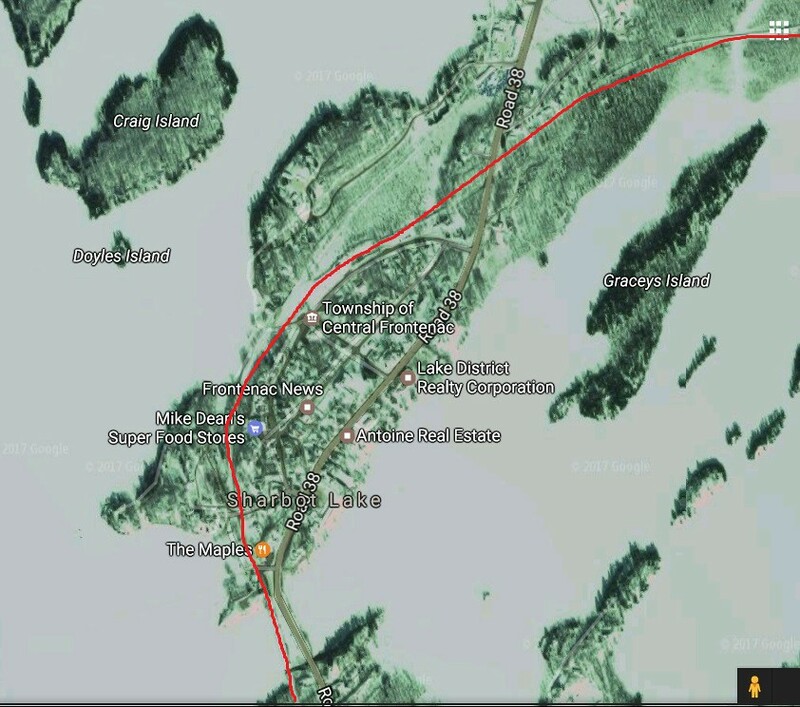 A quick look at the google earth map above suggests there may be some difficulties for VIA if they choose this route through Sharbot Lake! CLICK HERE to see a large version of the map. Even before you enter Sharbot Lake, across from Ryders Island you have an old wooden bridge that would have to be replaced. The challenges multiply has you cross into Sharbot lake. Here is another photo of a small bridge that would need to be replaced. VIA Rail stated plan to go 160 kilometres per hour is simply not going to happen along this part of the route. Travelling through Sharbot Lake by rail cannot be done safely unless the train speeds are less than 5 kilometres per hour. Frequent trains through this area would not be tolerated by locals tha t live there and the tourists that visit there. When leaving Sharbot Lake you cross under Hwy.#38. 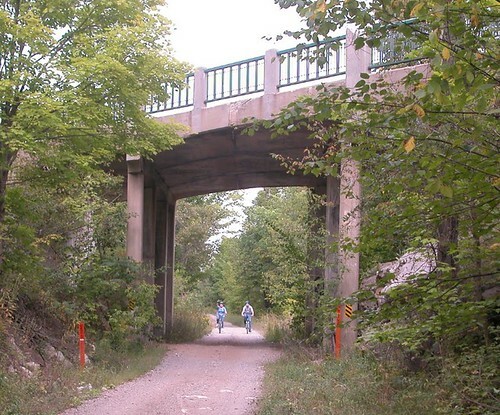 Here is a photo of cyclists using the trail. It is our opinion that the VIA Rail High Frequency Rail Plan cannot use the old rail line through Sharbot Lake. 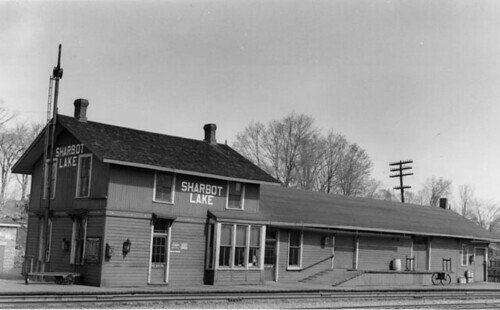 We doubt Sharbot Lake will ever have trains again. Is there any type of map to display the proposed rail route via rail wants to take? How is Sharbot lake get into the mix? Not Yet, Write VIA demanding it. Didn't get much of a map after writing in to via! Just a general reply of the project and a very basic map of the route thru Ontario!